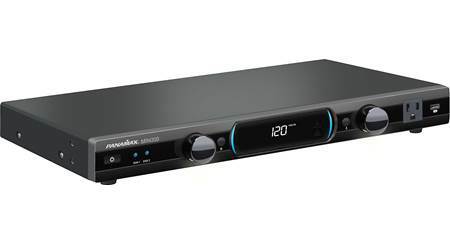 The Panamax MIW-XT offers a neat, clean way to connect your wall-mounted flat-panel TV to a line conditioner or uninterruptible power supply in a different location, such as a closet or component rack. 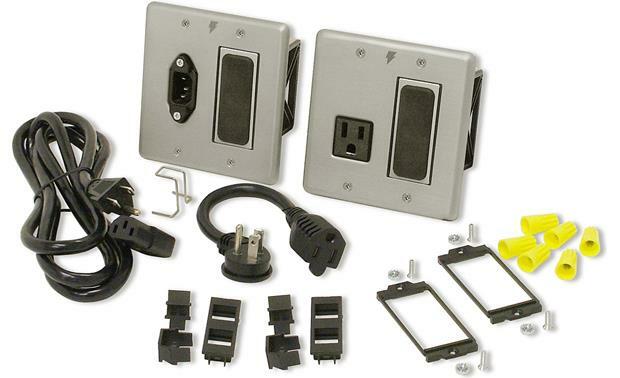 This system includes an AC outlet faceplate for your TV, plus an AC inlet faceplate and power cord for making a connection to your line conditioner. Connect the two plates via in-wall power cable for a professional-looking installation and less cable clutter. Each faceplate also includes an opening for audio and video signal cables, so you can run those through the wall, too. 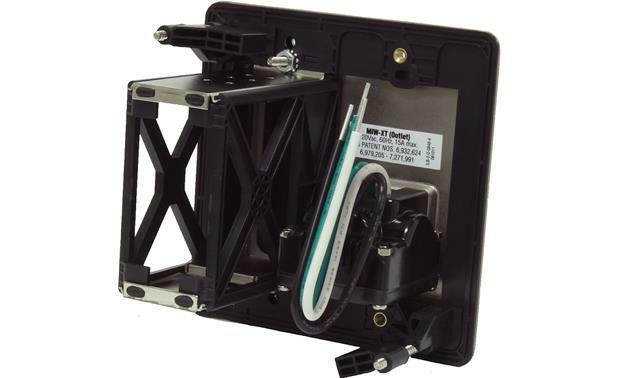 The MIW-XT includes various inserts for the cable opening, such as a pass-through adapter with a rubber grommet, and a Decora® adapter that accommodates up to a six-port plate (not included). Overview: The MIW-XT Max In-Wall Power Management Extender System extends safe, protected AC power from Panamax Power Management components to a remotely installed flat panel TV, ceiling-mounted projector, or powered subwoofer. 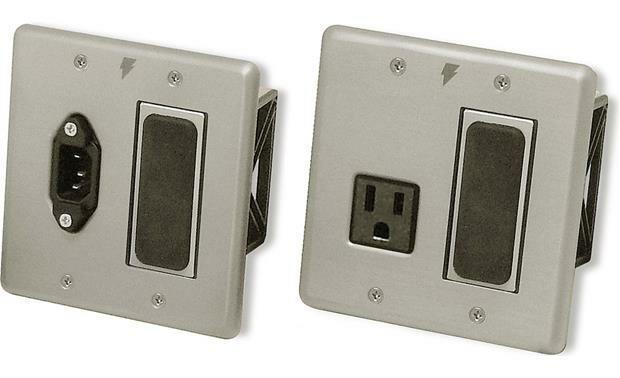 The inlet faceplate can be placed behind your equipment rack, and the outlet faceplate hides discreetly behind the remotely installed component for a neat, professional installation, without the bulky power strips or hanging power wires. 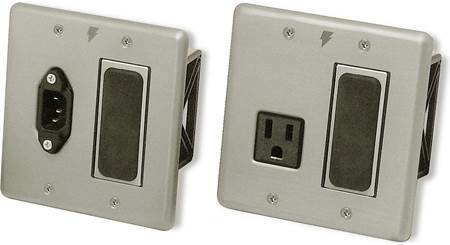 The MIW-XT faceplates are compatible with a standard dual gang in-wall J-box. Design: The MIW-XT consists of a single AC inlet faceplate and a single AC outlet faceplate for extending safe AC power from a Panamax power conditioning component to a piece of equipment remotely installed away from the equipment rack. The AC inlet and outlet are connected by common in-wall power wiring (i.e. Romex). On each faceplate, there is a low-voltage signal bay for connecting or passing through audio and video cables between the equipment rack to the remote component. The port can accommodate optional installation solutions by using the supplied Decora adapter, pass-through insert, or Keystone 2-port adapter. Optional MIW Signal Line Modules (sold separately) can also be used. A 6' AC inlet cord is provided. 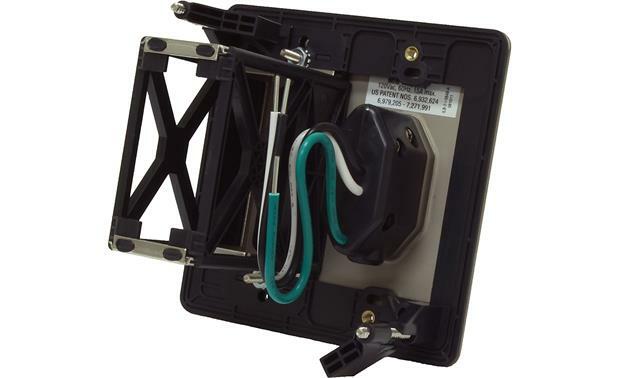 AC Power Cables: The included 6' AC inlet cable has a right-angle female plug that connects to the inlet faceplate and protrudes just over 1" from the wall. The 11" flat power plug adapter goes between the component's AC plug and the wall outlet so you can install the equipment as close as 1" from the wall. Note: Because the width of the plug adapter, the MIW-XT is not recommended for use with the Samsung TV Ultra Slim Wall Mount (305WMN1000). The wall mount reduces the gap between the TV and the wall to 5/8". Low Voltage Signal Bay: You can use the low-voltage signal bay to pass through the component's video and audio cables. You can use the MIW Pass-Through insert, which comes installed on the mounting bracket, and cut a hole in the rubber grommet so that it fits tightly around the cable. If you want terminals at the wall plate, you can use the supplied Decora adapter or Keystone module insert, along with the appropriate terminal modules (sold separately). Another option is to use a Panamax MIW signal-line module (sold separately), such as the MIW-5RCA, MIW-DATA, MIW-SVIDEO, or MIW-VGA. Searches related to the Panamax MIW-XT In-wall power management extender system.